When I first started Bass fishing, I remember seeing these baits and thinking, "There is no way anything is going to hit this monster." It looked more like a fish spooking device to me. After fishing a lot and talking to many long-time anglers far and near, it turns out these babies are by far the #1 producer of big Bass around here. If fished correctly, you can fish spinnerbaits successfully all year long. Since I've started using them more often, I've found a few techniques that work well for me. Long distance fan casting is probably the most common used by everyone. Let's say you're bank fishing, you would make a long cast down the bank to your left and retrieve. Then pick a spot a few feet to the right of where your bait landed last time, and repeat until you've made your way around clockwise to your right bank. This technique is great to use on cloudy/windy days off of wind-blown banks. When the sun is high with little to no cloud cover, Bass usually get up tight to some kind of cover. Find a good looking bank with structure and/or grass, and position your boat parallel and right up close to said bank. 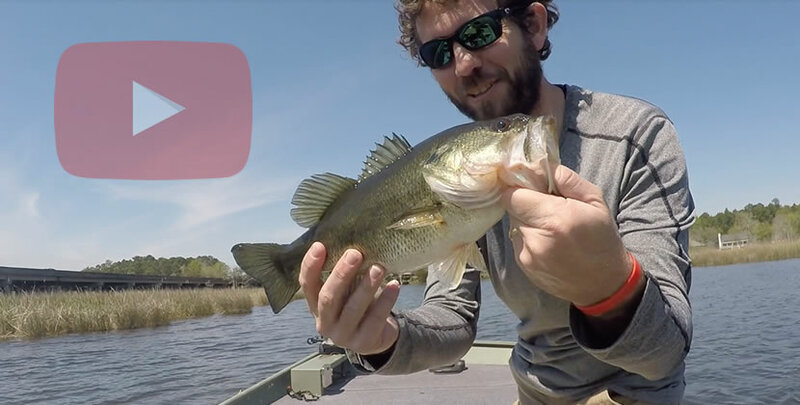 Parallel cast down the bank past the structure you think Bass are close to, and pull your spinnerbait right into the edge of the grass/structure. 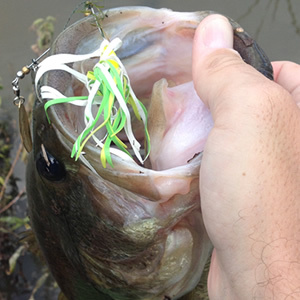 If you can knock your spinner into the structure or bump it through some of the grass, Bass will destroy your bait. Even though this works well on hard structure (tree laydowns, rocks, etc), pulling spinnerbaits through grass is my favorite, not only because it catches fish, but you're also less likely to get snagged up bad; worst case, you'll just pull in a lump of green. Bass will also hit spinners on the fall, like they do jigs. So if you're fishing deeper water (15/20+ft), try to keep your line tight while your spinnerbait flutters down to your target fishing depth. They can catch you off-guard with that falling strike. 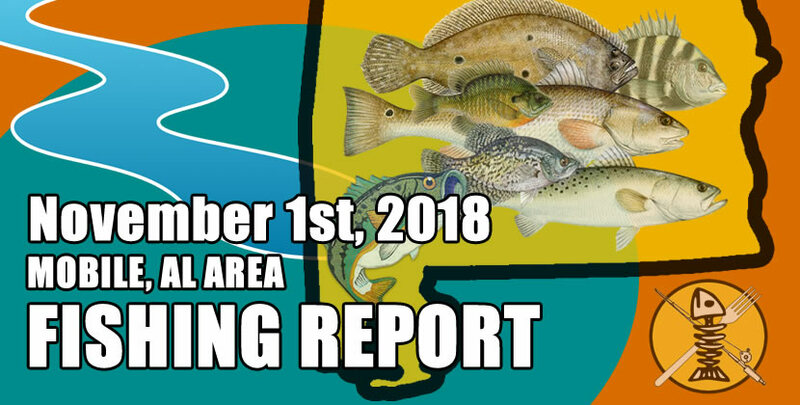 In the colder months when the water temp goes down into the 50's and 40's, you can use the same techniques above, but instead of a medium/fast retrieve, run your spinner bait slllooowwlly right up off the bottom. In some circumstances you have to almost drag your spinnerbait along the bottom to entice a strike.